I will admit, right at the offset, that I know little about the art of needlework. I did cross stitch and crewel work when I was in university as a relaxation but other than that and mending holes/tears and replacing buttons I am a novice. But I have come across a few pieces which I would like to present. We begin with a piece which is both watercolour and needlework. It is finely worked in silk tread on a silk ground quite a regular thing in the 1800’s. The work portrays Charlotte as she stands in front of Werther’s grave. It is inspired by ‘The Sorrows of Young Werther’ – a collection of letters by Werther to his friend Wilhelm about his visit to Wahlheim where he meets and falls in love with Charlotte despite her betrothal to another. 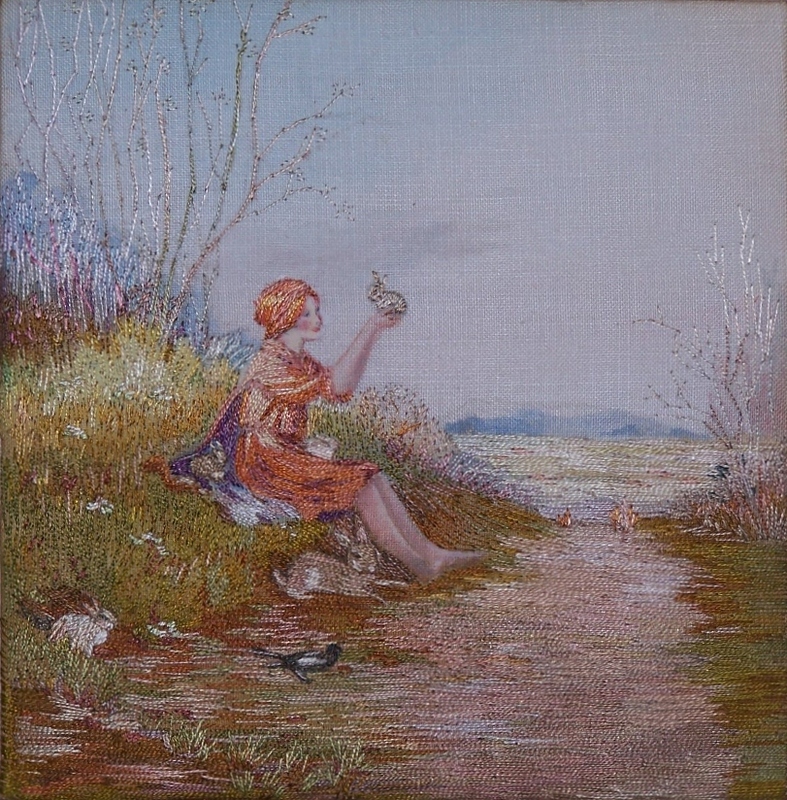 Now to a finely worked image of a young lady in tune with the nature which surrounds her. 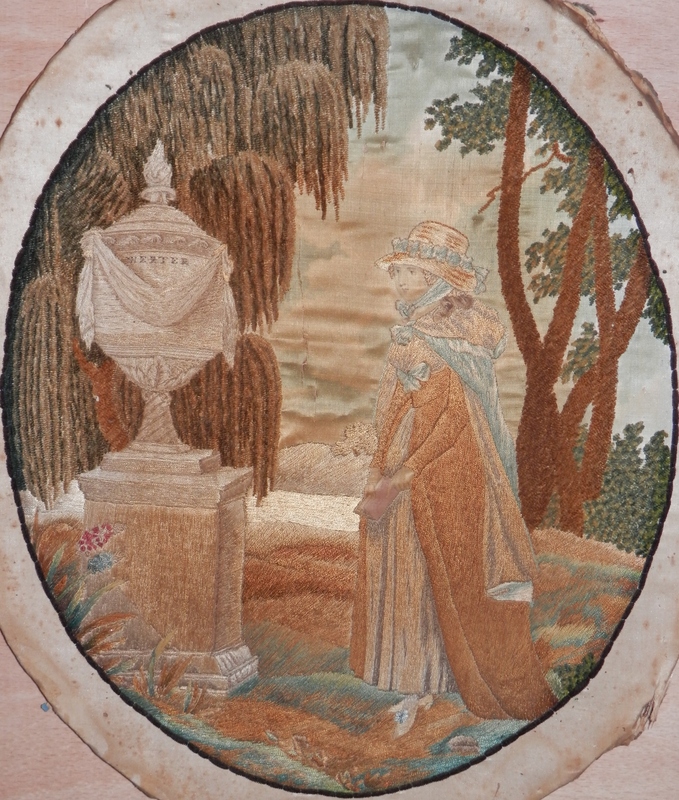 Once again we see the combination of watercolour and needlework. In past times, it was part of a young ladies education to learn a musical instrument and to do needlework. 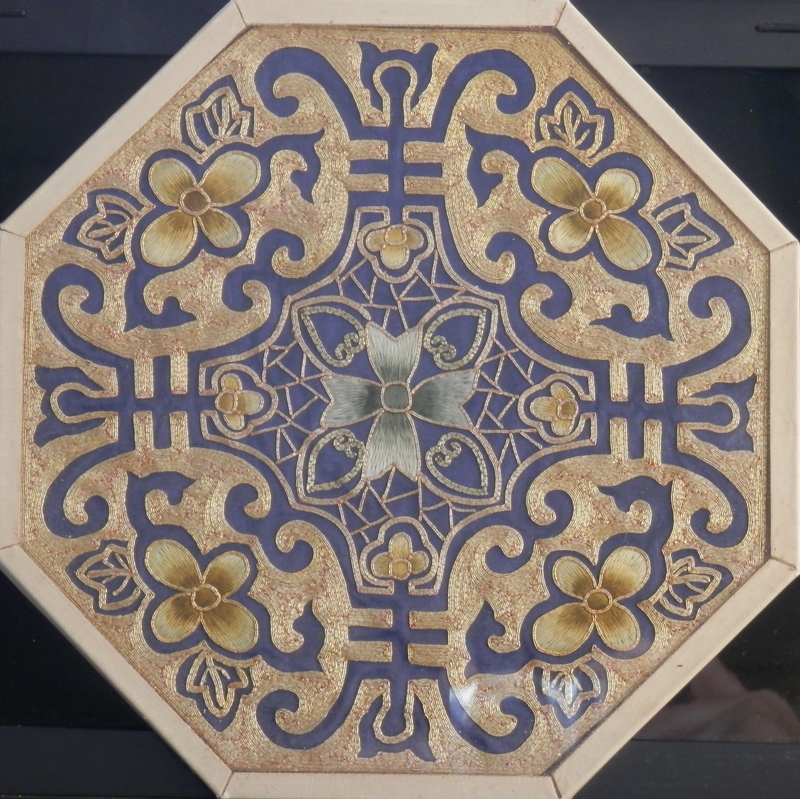 Although artworks like these are decorative they are useful in other ways. Needlework such as these are a reflection of the fashions of the time in which they were created. We see ladies in gowns and their accoutrements which adorned them. We might also consider the ornamental gold thread work which appeared on many uniforms and adorned much church fabric. The gold thread is laid on top off it’s ground and attached with fine threads’. 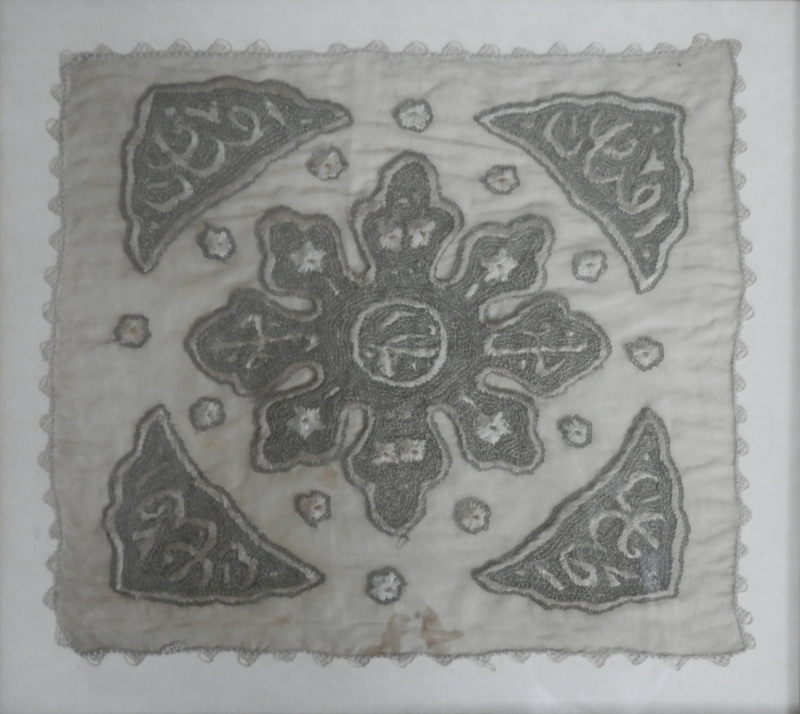 We could consider the making of a ladies token handkerchief which is made with her hair to decorate making the kerchief a sensual token – an intimate gift to a lover or husband. Just a few pieces to show the wide variety of an art form which we see very little of today. The dedication and love which is displayed in these pieces is worthy of admiration let alone the wonderful techniques. An art form which I, certainly, have come to a greater appreciation of. 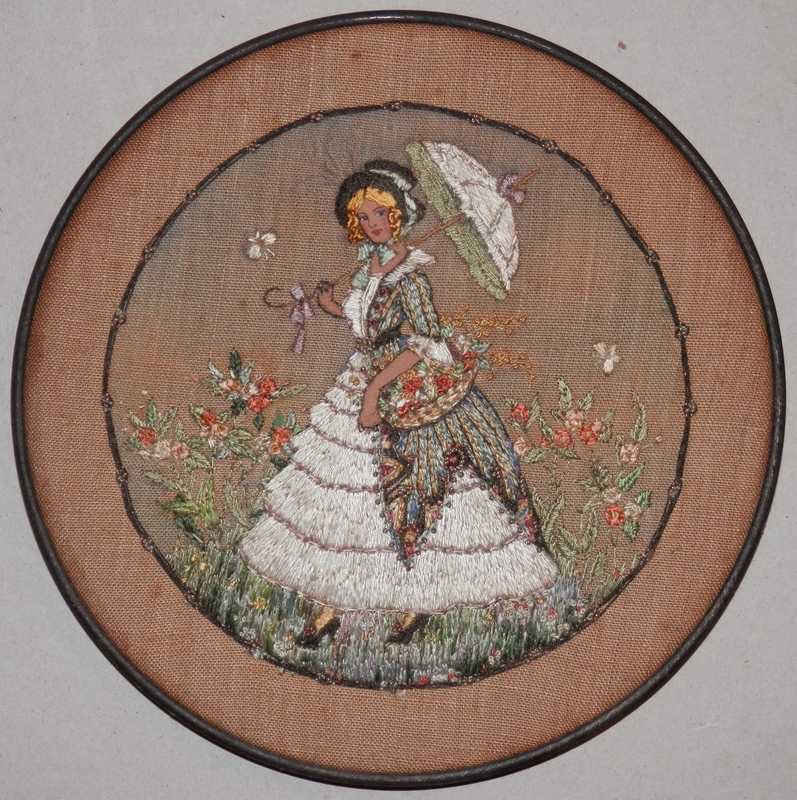 This entry was posted in Needlework and tagged gold thread, human hair, needlework, silk, thread, token. Bookmark the permalink.